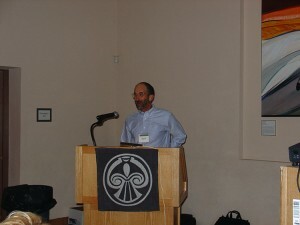 This year’s meeting was the 20th Annual Meeting and was held April 27-29, 2006 at the Museum of Northern Arizona. 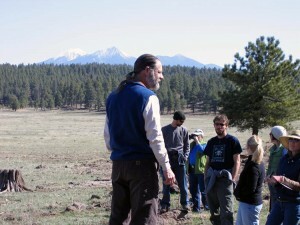 Tom Moody conducted a geomorphology workshop field exercise and a field trip in the Flagstaff area. 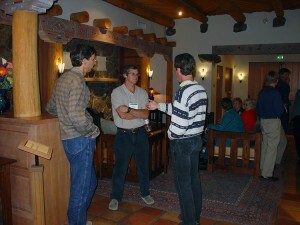 The two-day workshop provided an overview of the fundamentals of stream geomorphology in the arid Southwest. The Thursday lecture session included the nature of rivers, alluvial features, sediment transport processes, bankfull stage and its significance, channel classification, and channel adjustments to disturbance.The Saturday field day included examples of stream types, field identification of bankfull stage, field survey techniques, and many interesting stream channel sites. On Friday we had our regular meeting. 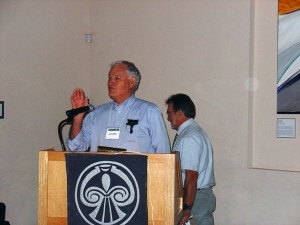 Duncan Patten, our first President and co-founder and Chuck Hunter, first Secretary/Treasurer and co-founder were the keynote speakers. 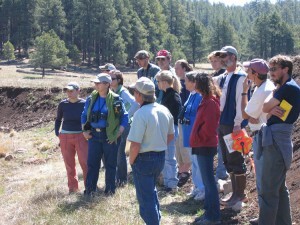 The theme this year was Riparian Issues: Reflections of our Past and Challenges for our Future. Both Duncan and Chuck related to us the reasons the Council was formed and what they saw as challenges for us. To give us various perspectives on these topics plenary speakers also included Tim Phillips, Flood Control District of Maricopa County; Andy Laurenzi, Sonoran Institute; and Joe Feller, College of Law, Arizona State University. There was a panel discussion and an afternoon of technical papers. Friday evening there was a reception at the Colton House, which was the former home of the founders of the Museum of Northern Arizona. 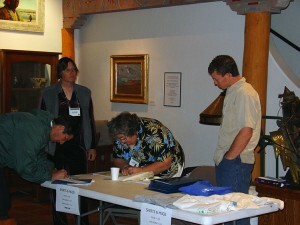 Registration table at 20th Annual Meeting at the Museum of Northern Arizona. 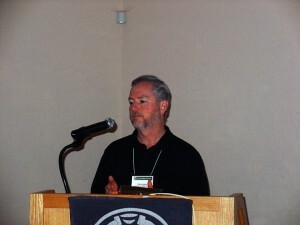 Co-founder, William C. (Chuck) Hunter. 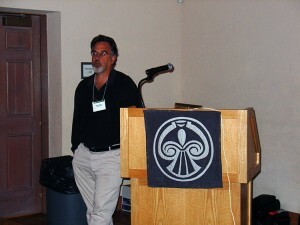 Joe Feller, Professor of Law, Arizona State University. 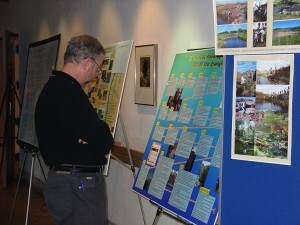 Posters at the 20th Annual Meeting. 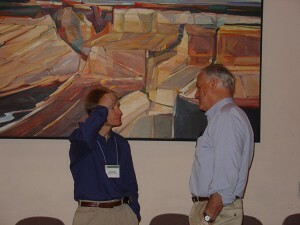 Abe Springer, Professor of Geological Sciences, Northern Arizona University and Duncan Patten, Montana State University (formerly Arizona State University). 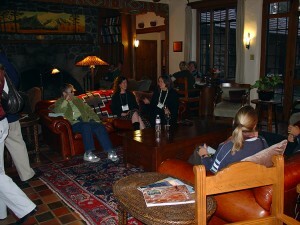 The Colton House, site of the evening reception of the 20th Annual Meeting. 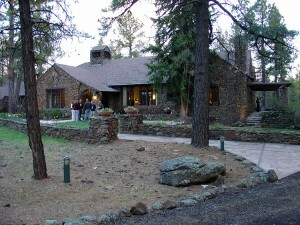 Former home of the Colton’s who founded the Museum of Northern Arizona. Evening reception at the Colton House. 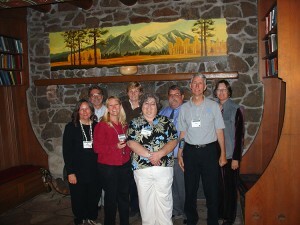 The Arizona Riparian Council 2006 Board of Directors. 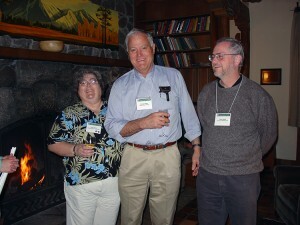 Cindy Zisner, Duncan Patten, and Chuck Hunter at the reception. Tom Moody leading field trip.